Although BitYota’s early customer base has largely been small businesses and startups, traditional enterprises are increasingly considering the service for new projects, Summers said. They could use the cloud service to analyze marketing or operational data, without the need to set up all the hardware and software infrastructure to maintain a data warehouse in-house. AWS’ exact market share is put at 27% by Synergy, gaining ground after what the research firm called a “relatively soft” Q2. While the graph shows Microsoft having by far the highest percentage growth, it’s all relative: AWS revenue growth over the past four quarters is greater than Microsoft’s total cloud infrastructure revenue. “AWS remains in a league of its own for scale,” the researchers argue. The second quarter analysis can be found here, with AWS’ percentage growth at 49% compared with Microsoft’s 164% and IBM’s 86%. Back then the headline story was Google’s comparative lack of growth, at ‘just’ 47%. Back then Synergy Research chief analyst John Dinsdale argued it was only going to be a blip for Amazon, telling CloudTech he didn’t think the company was resting on its laurels, “quite the opposite actually”. So it has proved in Q3. Synergy estimates that quarterly cloud infrastructure service revenues, including IaaS, PaaS, private and hybrid cloud, have now hit the $4bn mark. The overall market grew by almost half (49%), yet the four main operators grew even more rapidly than that. Microsoft announced last week it was offering unlimited OneDrive storage to Office 365 customers, while AWS launched a series of data centres in Frankfurt. Yet the Q3 revenue figures of the bigger players haven’t all hit the mark; Google’s came back lower than Wall Street expected, while IBM’s were also criticised. Microsoft wants to move monitoring and analytics to the cloud, automate management and take over high-performance computing work with its latest Azure products. The company announced Azure Operational Insights, which extends the Azure hosted analytics, monitoring and management tools to on-premises equipment, simply by installing an agent on servers. It’s possible to find missing system updates, capacity shortages and track server configuration changes, for example. Cloud computing is part of EMC’s vision for a so-called “3rd Platform” of IT, along with big data, social networking and mobile capabilities. The company has its roots in storage but now calls itself a federation of businesses that can deliver that platform to enterprises through VMware’s virtualization software, RSA’s security products and Pivotal’s big-data and PaaS (platform as a service) technologies. It’s easier than ever to get started developing for the Internet of Things (IoT), said Microsoft .NET developer evangelist, Dave Glover. “That whole bridge between inventing and the entrepreneur — someone who can take it to market — that whole gap is closing,” Glover said in a developer session today at the TechEd conference in Sydney. Price is no longer a barrier to developing connected devices thanks to commoditization, he said. “This stuff is getting as cheap as chips, no pun intended,” he said. Microprocessors cost a $1 or less if you buy them in bulk, he said. Wi-Fi chips cost about $4. Extending Office 365 functionality to third-party developers, Microsoft has exposed a set of application programming interfaces (APIs) so other companies can add features and capabilities to the online productivity service. The company announced the new functionality at the TechEd Europe conference, held this week in Barcelona. The APIs are a way for third-party programs to access the information and capabilities of the online office suite, including those for user mail, files, calendar and contacts. The founder of a powerboat racing business is looking to use the cloud to track the company boat’s performance during offshore races and keep fans and racing officials updated with animated race visualizations. 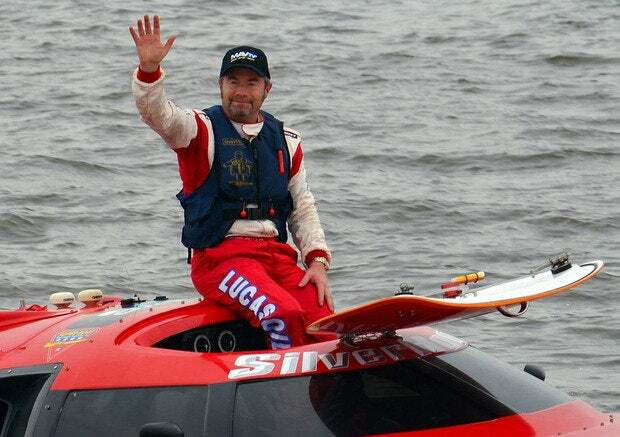 Nigel Hook, co-founder and president of San Diego-based SilverHook Powerboats.